Named 2018 Distillery of the Year! We are honored and thrilled to be named "2018 Distillery of the Year" by the American Distilling Institute, the largest organization of small-batch, independently-owned distillers in the U.S. The 2018 Ultimate Spirits Challenge rated Copperworks American Single Malt Whiskey 94 points, calling it "Excellent, Highly Recommended." 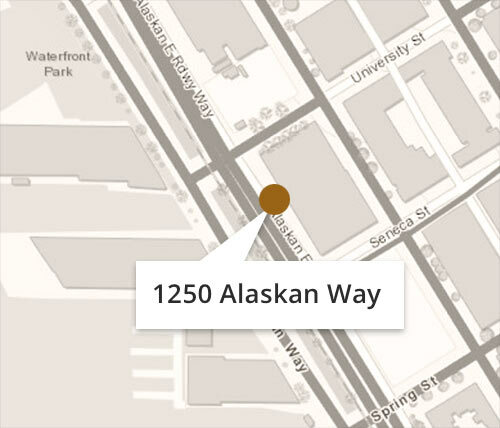 Our whiskey is made from 100% barley, twice-distilled, and matured in new American Oak casks. 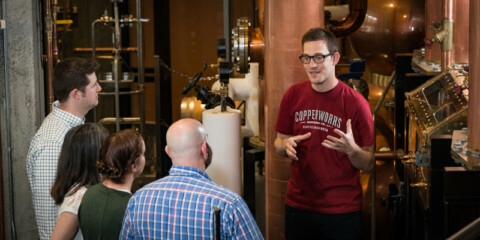 Copperworks is a distillery and tasting room located on the downtown waterfront in Seattle, Washington. Our spirits are made from malted barley and distilled in traditional copper stills. Tours and tastings available. 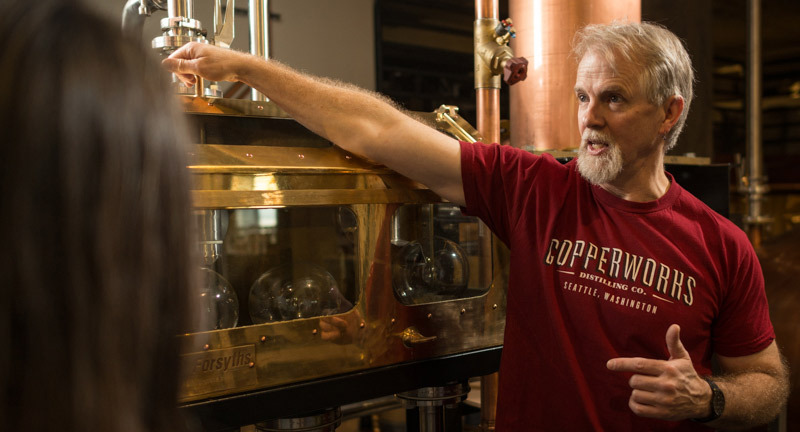 Get a behind-the-scenes look at our stills, barreling process and fermenters. 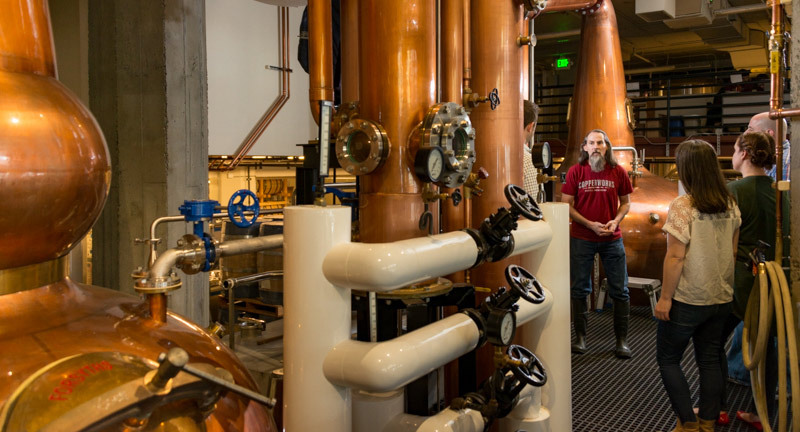 Learn how distilled spirits are made and enjoy a guided tasting. 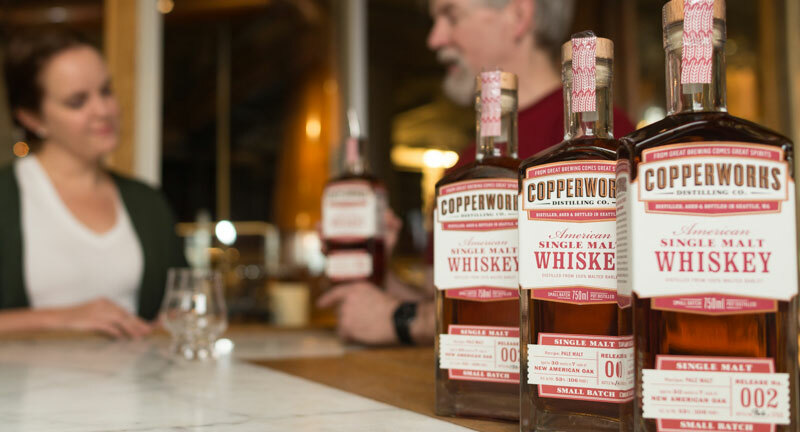 Copperworks spirits are carried in 100+ liquor retailers and 400+ bars and restaurants in Washington State. Find us in your area. 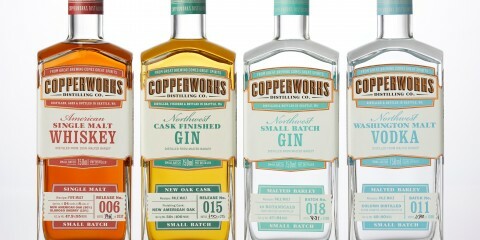 Buy Copperworks spirits, plus cocktail supplies and more in our online store. 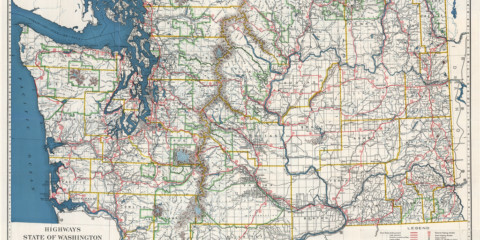 We ship spirits in the U.S. wherever state laws allow.